The late-season snowstorm pummeling the Northeast Tuesday brought some eye-catching snow. 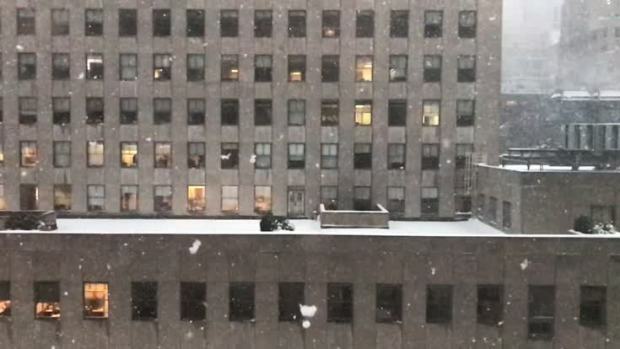 New York City, New Jersey and Connecticut saw big, puffy white stuff that almost looked like ticker tape Tuesday morning. But they aren't giant individual snowflakes, but a phenomenon caused by warming temperature and mid-air clumping. Big clumps of snow falling outside the NBC headquarters at 30 Rockefeller Plaza in New York City on Tuesday, March 14, 2017. 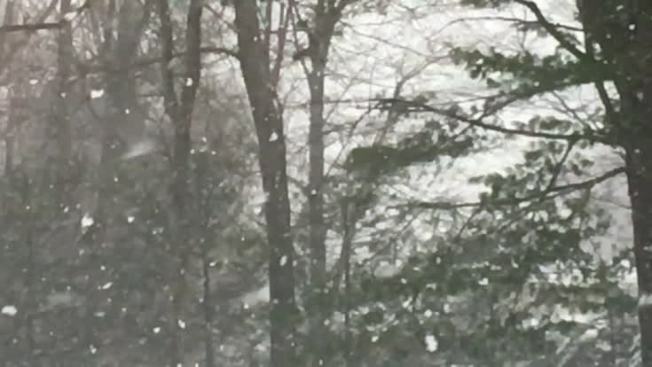 Snowflakes can only form in below-freezing temperatures, of course, but when they fall into warmer air lower down, they can start to melt, according to NBC New York meteorologist Erica Grow. That makes them sticky enough to clump together when caught in updrafts, which is fast-rising air typical of thunderstorms. "When you see those huge snowflakes, don't be surprised if you also hear a clap of thunder or see a flash of lightning!" Grow said. Those clumps can, very rarely, grow as big as a dinner plate in very calm conditions, according to a website run by Caltech snowflake expert Kenneth G. Libbrecht. 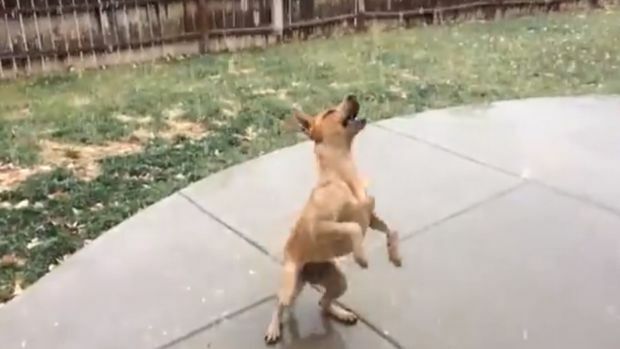 Carla DeKalb captured video of her dog Loki's excitement during the first major snowfall this season for the Grand Junction area of Colorado. Loki excitedly tried to catch snowflakes at DeKalb's Mesa County home Tuesday. The biggest individual snow crystal ever photographed was only 10.1 mm, or 0.4 inches, across he says. The mega-snowflakes caught plenty of attention throughout the Northeast on social media Tuesday.